Critically Acclaimed: Critically Acclaimed #73: Dumbo, The Beach Bum and How to Watch Classic Movies! 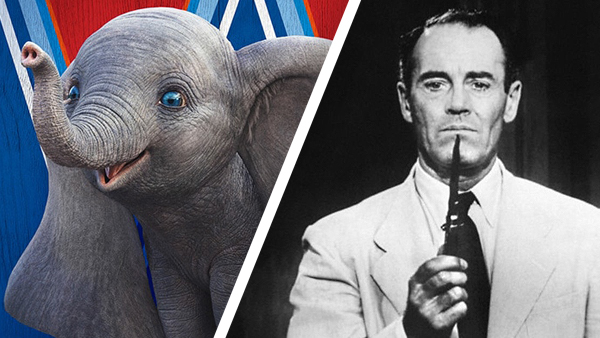 Critically Acclaimed #73: Dumbo, The Beach Bum and How to Watch Classic Movies! One of the questions film critics get all the time is where young film fans, who have over a century of catching up to do, should start their journey into classic cinema! How can they acclimate to older storytelling styles, and contextualize decades-old movies with the films they like today? And how can you even find these old films, when most audiences watch movies on streaming services and most streaming services don't offer much older content? In this week's episode of CRITICALLY ACCLAIMED, William Bibbiani and Witney Seibold try to give you the tools you'll need to explore and appreciate classic cinema! They also review the brand new releases "Dumbo" and "The Beach Bum," and talk about their latest appearances on "The Movie Trivia Schmeodown!